This is really helpful when it comes to running backups on a PST files and you are seeing errors from locked system files. REM run the command to gracefully close outlook - THIS SHOULD BE IN THE SAME DIR! REM copy the outlook file - VERIFY THAT THIS IS THE RIGHT FILE FOR THE PROFILE! Run the batch file, which will stop outlook, then copy the file to the specified location, from where you can process it further as required. 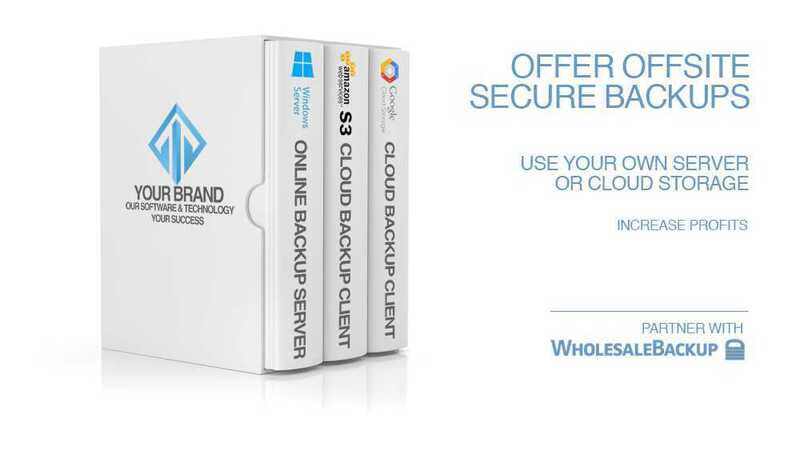 You can build your very own Windows backup server using our server backup platform then provision enduser online backup clients branded with your company name. Your customers will have a local and online backup system where they can store their backup data in a local vault on their own machine in addition to having another backup storage vault on your Windows backup server. We also provide a hybrid cloud backup platform that allows you to store customer data on very cheap cloud storage from Amazon S3 and Google cloud storage. This options does not require you to have your own server. All you have to do is provision the cloud backup clients with your company brand and logo, once they are installed and the selections are made for the files and folders to backup, the data will go through a de-duplication process to avoid duplicate files, then create file blocks which are encrypted for transmission which will be sent to your cloud storage vault. Whether you choose to build your own backup server or create your own cloud backup clients, you can run and monitor your backup business from a web browser with the Backup Management Web Console, which centralizes all of your customers status, backups, settings and billings information. Our Partners, MSPs, VARs and resellers, call this the mission control center for their backup operations.